San Clemente, CA (PRWEB) September 28, 2011 Lucy Hobbs Taylor, DDS was born in 1833, and like many female pioneers of the time, she faced a society that narrowly limited the role of women to motherhood, or more traditional female occupations such as teacher or nurse. In 1859, she was rejected for admission to medical school based on her gender, but rather than be deterred, she opened her own dental practice, and in time, she came to be known as "the woman who pulls teeth." After serving patients for four years in her own dentistry practice, she was admitted to the senior class of the Ohio College of Dental Surgery. In 1866, Lucy Hobbs Taylor, DDS became the first woman in U.S. history to earn a doctorate in dentistry. Medelita®, a fashion-forward pioneer of medical apparel, honors this inspiring woman in their own unique way. A company founded on the principles of exceptional customer service, Medelita today introduced a new and improved version of their popular Lucy H.T. dental lab coat, tailored for women - and named after Lucy Hobbs Taylor, DDS. The 34″ length Lucy H.T. lab coat by Medelita is designed specifically to accommodate the exact range of motion and ergonomics required of dental practitioners, and the re-design illustrates the Medelita commitment to continual customer-driven improvement. At the forefront of fabric technology and experience-inspired design, the new Lucy H.T. 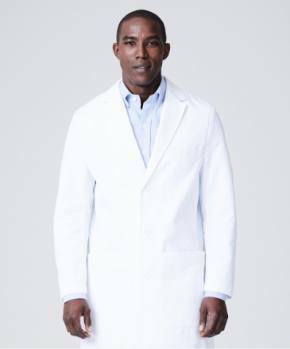 lab coat features increase the comfort of the wearer, as well as the durability, functionality, and professional appearance of the garment. Responding to customer feedback from female dentists and hygienists who typically wear their coat closed and prefer snap closure, the buttons on the Lucy H.T. dental lab coat were replaced with snaps. In addition, the lowest snap on the coat was raised to the upper hip area - allowing dental professionals to be fully mobile and comfortable in a seated position, poised for procedures. After realizing that the original chest pocket was not often utilized by dental customers, this pocket was removed. The functional customer-oriented change also serves to enhance the clean, polished, and refined look of this one-of-a-kind dental jacket. 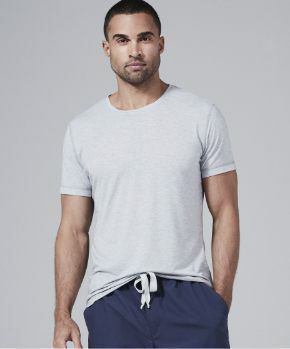 In addition to the DuPont™ Advanced Dual Action Teflon® fabric protector already applied to the 100% cotton performance fabric, a stain technology was also added to the ribbed cuffs. This repel technology by DuPont prevents fluid, soil, and stains (including blood and impression material) from seeping into the fabric, ensuring that the lab coat and the cuffs remain white and clean. Enhancing the ergonomic design of the Lucy H.T. 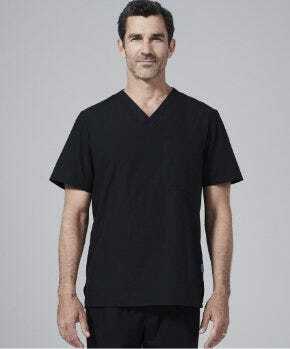 dental lab coat, additional shaping was added to the sleeves that replicates a true position of function and prevents any tension at the elbow. 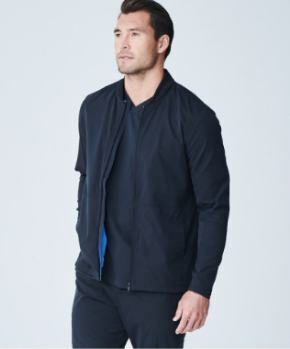 This subtle pattern change to the sleeve ensures optimal comfort during procedures and improved durability long-term. With a slimming back waist-band, beautiful rounded pocket detail, finished inside seams, and softly rounded collar – the new and improved Lucy H.T. 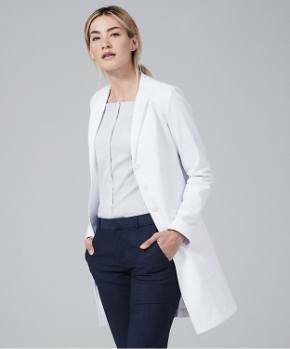 dental lab coat is ideal for any female dentist or dental surgeon - a fitting (and fitted) tribute to an amazing, prestigious, and accomplished woman like Lucy Hobbs Taylor, DDS. About Medelita Medelita® is redefining the way that healthcare professionals think about their lab coats, uniforms and scrubs by offering the highest quality, best fitting, and most comfortable medical garments available. Medelita combines innovative performance fabric technology and intuitive design to create uniforms that present a professional and sophisticated display of achievement, confidence, and prestige. For more information, visit the Medelita website at http://www.medelita.com or call 877.987.7979.